I do life happily by having something to aim towards – some of my goals are little and some are ridiculously huge. As a couple this was how Mark and I worked as well. We got married with the plan to do missions. When we were out on the mission field we were always planning the next tour, the next gig, the next adventure. When Mark got sick and we were told it was cancer and he was going to die I continued with my planning. This time it was not happy planning but planning for a future that involved Mark getting sicker, dying, a funeral and then life after as a young widow with four small girls. It might seem morbid – but I had a plan. As most of you know life doesn’t often go to our plan and of course life didn’t with Marks illness taking a very unexpected turn with the diagnosis of brain damage caused by the radiation treatment. When this happened we found ourselves in no man’s land. There was no plan! And what was worse there could be no plan! The neurologist, the oncologist and we ourselves had no idea how this illness could evolve. I was lost! This among other things caused me to cope very badly with Marks illness (I won’t elaborate because it is in my book). 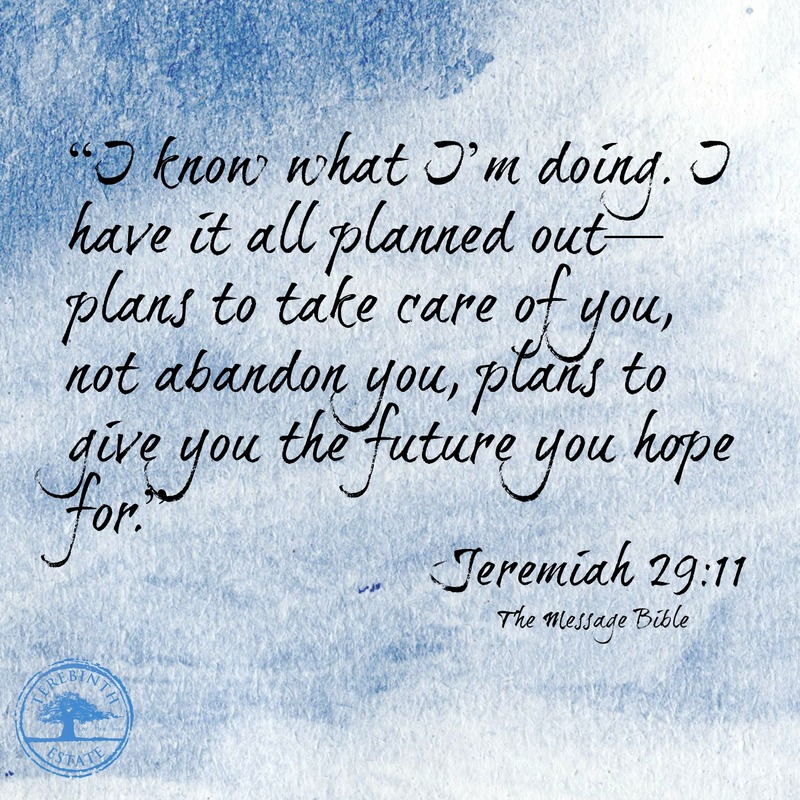 I had to let go of my natural instinct to plan and have a goal and instead blindly trust that God, my heavenly Father, had a plan and he had it all under control despite the fact I didn’t. Yes I learnt a lot of things through that, and yes I did learn to trust in God. So why am I bringing this up? Well I had a plan – yep I had a plan for how I was going to do the next few years of life while I still had one daughter left at school. I thought my plan was in line with what I felt God was leading me into and so thought it was all sorted. If there is one thing I have learnt to be good at it’s obedience to God’s voice. I knew he had said it and it actually confirmed what I had started to figure out because what I was pursuing was simply not working out. So here I am with no plan. I have no idea what I am supposed to do next. I am trying to learn about marketing my book because God told me to write it so I figure I better work at selling it. But other than that – there is nothing! All I want to do with my life and my days is tell others about Jesus. I want God to use me to encourage people to know God or know him better. That was the vision statement behind the book. I am very blessed in my job to work at a Christian Medical Centre and I get to talk to people about Jesus, pray for them and try as much as I can to show God’s love in between the very busy phone and the administration required to run a doctors clinic. But I know God is getting me ready for a change but I have no clue what that is. So at present this is what I am doing. 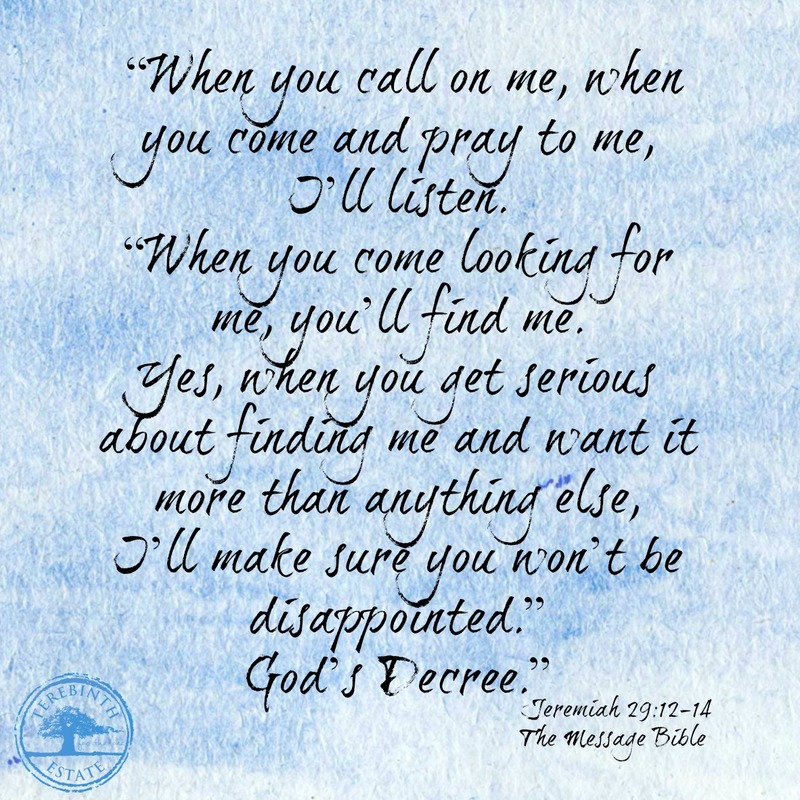 I am calling on God, I am praying to God and I am seeking God, both to draw closer to him but also to discover his plan for my future and what he wants me to do next. I am trying not to get frustrated (which is my natural tendency) and I am trying not to force anything. And I am waiting. God has a wonderful plan for EVERY single person’s life. A plan that you can’t possibly imagine, and it will fulfil all the desires that are in your heart. But the condition to finding this plan and living it is like the scripture said, it’s calling on God, praying to him and seeking for him. When you discover God, which he has promised you will if you ask, then you will also discover the plan and the steps to that plan. Sometimes you will have to wait and trust for the next step, like I am at the moment, but it will come if you just keep following Jesus. And so I wait in eager anticipation for the plans and the next steps he has for me. I’ll keep you posted!